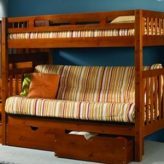 Looking for wooden bunk beds? 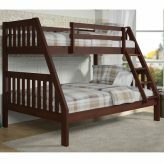 Kids bunk beds come in several different colors, from black to white wood bunk beds and many natural wood finishes in between. 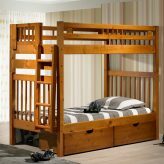 We even sell hardwood bunk beds with slides attached to them, which are so fun, you will never have to worry about getting your kids up and out of bed in the morning again. 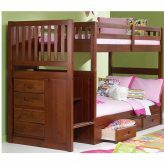 We have plenty of wood bunks for girls or boys. 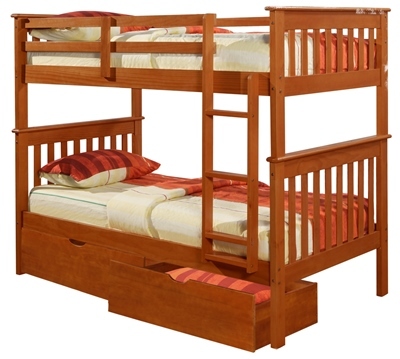 Build the room of your dreams and save space doing it with hard and solid wood bunk beds! 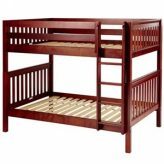 The wooden bunkbeds that we carry range in size so that you can find the one that will best address your homes sleeping arrangement. 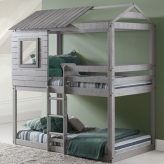 The twin over twin will comfortably sleep two, while the twin over full are great for those who might want a little more sleeping room and still be able to bunk one more on top. 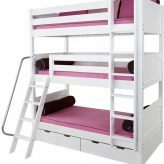 Full over full bunk beds are ideal for cabin lofts or homes that need to sleep many but have limited space to work with. 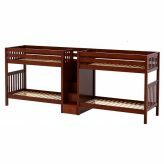 When you browse our selection of wood bunkbeds, you will also find handy bunk beds with t rundles or storage underneath, adding yet another way to optimize the floor space in your room. 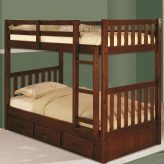 We sell hardwood and pine bunk beds for adults! 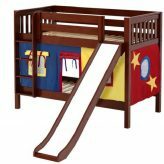 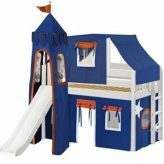 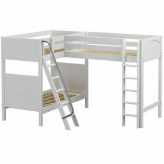 Bunk Beds Bunker offers twin loft wood bunk beds for both kids and adults. 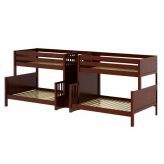 The rich finishes of our wood bunk beds add a warm feeling to the room. 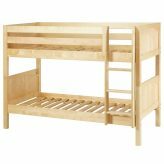 Whether you like the deep stains of honey bunk beds or cappuccino bunks or the simple finish of our natural bunk beds, you will find a bed for your room. 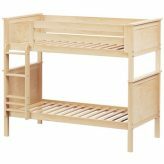 Most of our wood bunks are solid wood bunkbeds. 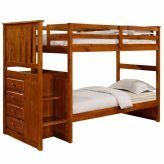 Some are a hard wood while others are made of pine. 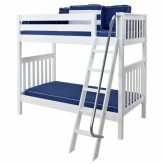 Our beds range from a very simple bed like our Econo Ranch Bunk Bed or a more comprehensive piece of furniture like our All In One Bunk Bed. 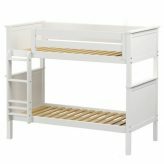 Most accommodate under bed storage drawers or a trundle to optimize you space even more. 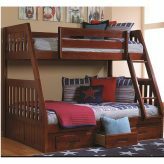 Wood Bunk Beds add a rich, natural, touch to any bedroom!